Great for leaving your roommate a message, notes, to-dos, etc. Add Chalk Ink Wet-Wipe Markers? There's probably some sort of computer or cellphone program out there that acts as a virtual chalkboard. It's even probably pretty fun and cool to use. But keep some of your dorm supplies old school to mix things up and have even more fun. 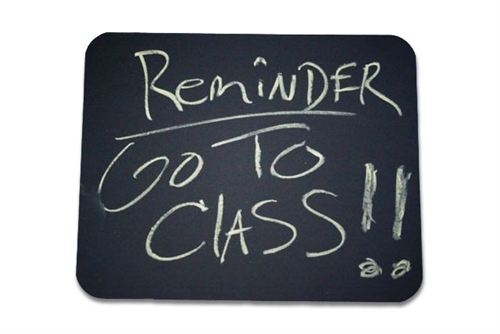 Chalkboards are certainly nothing new, but they will be one dorm supply that's interesting and different from what all your friends are including as part of their college stuff. Perhaps you used chalkboards in your elementary school years. Great. Now's your chance to feel like a kid again. Whether you want to leave notes or do some sidewalk-style art, a chalkboard as part of your college stuff will be more fun than you think. 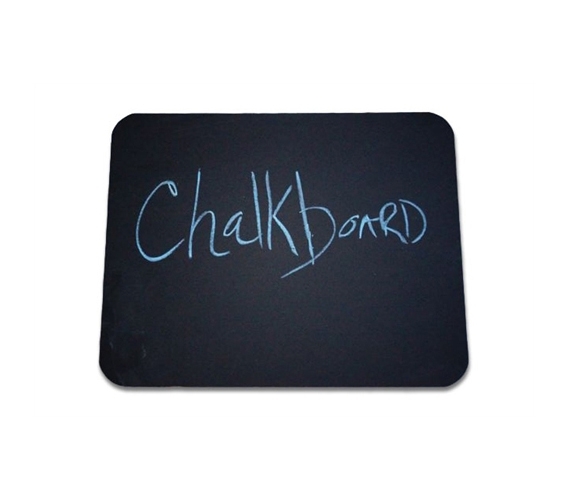 This 9.5" x 12" Black Chalkboard is just the right size for keeping it atop your dorm desk. No, it won't be wall-sized like you still remember, but this time you'll have the chance to write and draw whatever you wish—no more practicing cursive or writing down arithmetic on the blackboard in front of all your other classmates. Plus, if you choose a dry erase board for college, that's fine, of course, yet those markers do tend to dry up. Chalk won't dry up on you—just don't try to eat it. That would take reliving your childhood days a little too far!